FORCE - (50 H.P.) Model No: H050412UD. 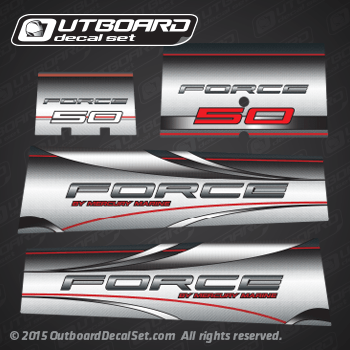 This decals may replace or to be used instead of part number 855394A98 DECAL SET (FORCE-50 HP) (FRONT-REAR-PORT-STARBOARD).